We truly begin to learn of the richness of Orthodoxy by the practice of prayer, for according to St. Paul, our prayer should precede all other activity. 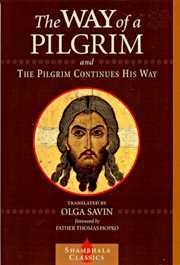 The “Way of a Pilgrim” is considered a great classic of Russian Orthodox spirituality, specifically on the origin and practice of the Jesus Prayer. Softbound. 248 pgs.